A picture can be worth more than a thousand words! 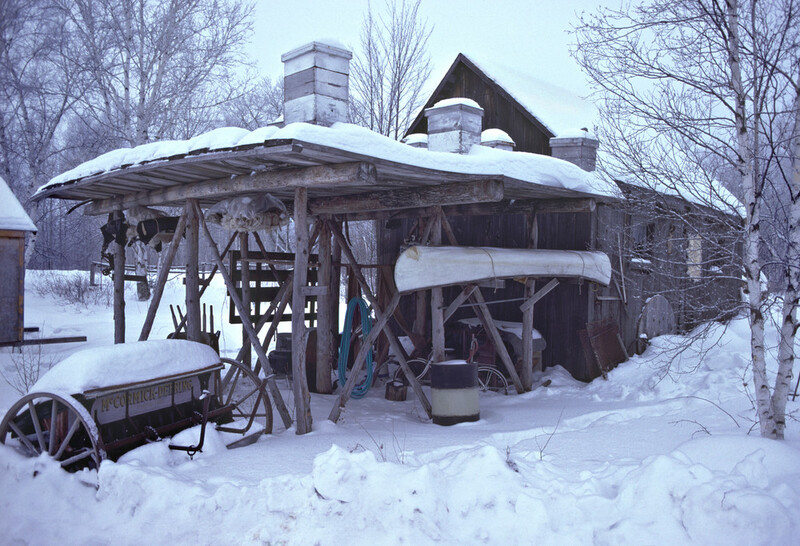 A close look at this picture unfolds a wealth of stories... A northern Wisconsin farm, a bee yard built to keep the Black Bears at bay, a home-made canoe, pelts salted and rolled for storage until warmer weather - with one stretching on the side of the building. A grain drill resting through winter, various farm tools in covered storage, along with a well used bike... a thousand simple, yet rich, stories of family lives well lived.